This week's Makeup Basic topic will be a bit different from usual. Instead of me babbling to you based on my subpar knowledge on makeup, we have MAC Senior Makeup Artist Haritha Shan to give us some tips. Q: What are the basic products to have for a makeup starter? 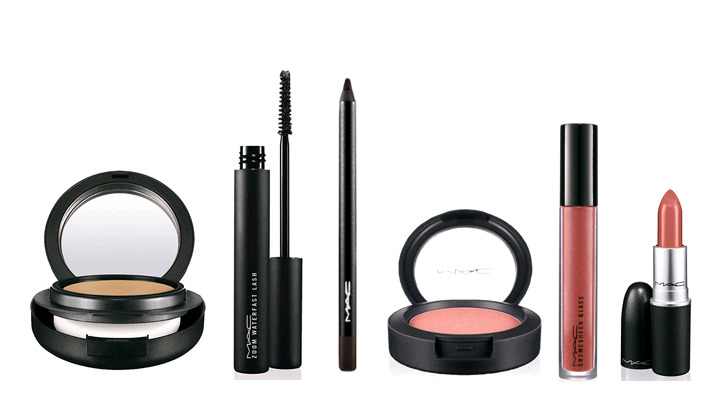 A: Compact powder, mascara, eyeliner, blush and lipstick or lipgloss. It is good to start with compact powder because the formula already has foundation in it. Mascara is a must. If you're not comfortable with the intense color of lipstick, you can start exploring lipgloss first because the color is rather sheer. It is not advisable for you to start purchasing eyeshadow because it requires some technique to put on. You might ended up not using it and putting it aside. Q: How do we follow makeup trend? A: Pay attention to the latest color, texture and technique in makeup. You don't have to necessarily follow 100%. Just follow part of it will do. For example, bridal makeup has always perceived to be using neutral tone. We are seeing more brides wearing pastel color such as lilac on the eyeshadow (Pantone color of 2014 is called Radiant Orchid, which is a lilac tone). I admit that as a layperson, I don't know what makeup artist do besides painting on faces. I did asked Haritha some questions on her career as a makeup artist and what are her advice for some of you who aspire to be like her. Q: What do makeup artists do beyond makeup for client? A: Being a makeup artist, it is a constant learning process. We have to different trend, learn new techniques and apply it to everyday wear. We have to work 7 days a week and it is not as easy as how some people thought it would be. On Monday to Friday, we'll be in the store giving advice to customers and consult them on the right product. On the weekend, we accept freelance job. Normally the freelance job are booked months ahead. Q: What are the career prospect for makeup artists? A: Within M.A.C. the job prospect for a makeup artist is endless. We are being coached on various grounds and when our skills developed, that's when we will be channeled to the department which is more suitable for us to grow. For example, for someone who are stronger in the creative side, he or she will be promoted as senior makeup artist, or art director. For those who are show more strength in business, he or she will be promoted as retail manager and so on. The process don't just end there. You start to level up within the country, and then region level, and then into international level. I'm sure it is the process is the same with other prestige makeup brands. Q: How do a makeup get noticed? A: Social media helps a lot. Each time you finish a job, take photo of it and post up on Facebook, Instagram, etc. Other people will be able to see what you are capable of doing. Treat the social media platform as your portfolio. Word of mouth is also a powerful tool. A happy client, might refer 10 clients to you. And then the 10 clients will refer another 10 more people each. So you have to build a relationship with your client and most importantly make sure they are happy with your service. I hope this short interview is useful for you girls. I really enjoyed the evening at the launch of M.A.C. new collection A Fantasy of Flowers with Haritha. Watch out for my next post. I will be showing you girl the entire collection of Fantasy of Flowers together with swatches and the product photos. I'm sure you all will fall in love with the collection if you love spring color. M.A.C. Senior Artist and faithfully been with the brand since 2005. Her specialty is in fashion shows. She has worked with various designers such as Ellie Saab and Marc Jacobs in Paris Fashion Week and Milan Fashion Week.